At the end of 2017, CIBJO decided to investigate whether the method by which it had compiled guidance and educational support for diamonds, coloured stones, pearls, precious metals, coral and gemmological laboratories could applied to the subject of responsible sourcing. Would it be possible to create guidance for responsible sourcing that could be universally accepted, which would meet the ethical standards that our industry expects from itself, and at the same time be acceptable from the perspective of the international community? The goal in producing the document was not to compete with any other due-diligence systems, nor would it be something that CIBJO could enforce or police. Like the other CIBJO Blue Books, the standards and guidelines contained in the proposed CIBJO Responsible Sourcing document would be recommendations and guidance, as opposed to a standard or a compliance mechanism. However, the guidance should come to serve as a reference for responsible sourcing practices developed and applied by industry organisations and commercial bodies worldwide, while taking into account the challenges of the global jewellery supply chains. 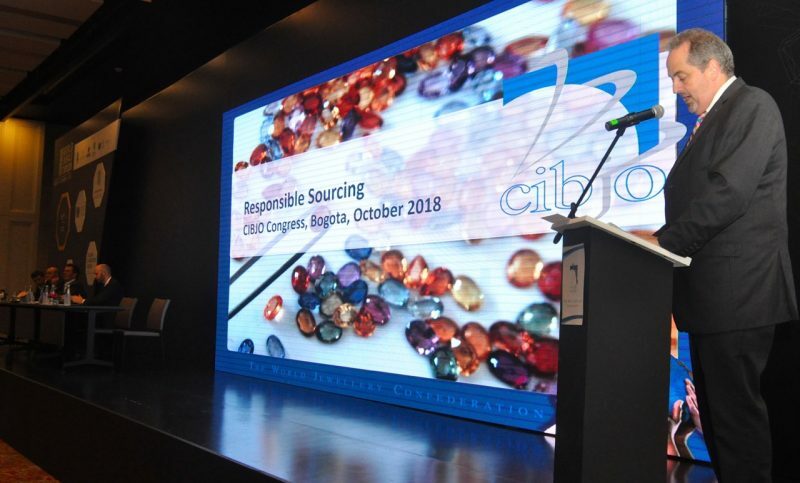 The CIBJO Responsible Sourcing Guidance was presented during a special session of the 2018 CIBJO Congress in Bogotá. 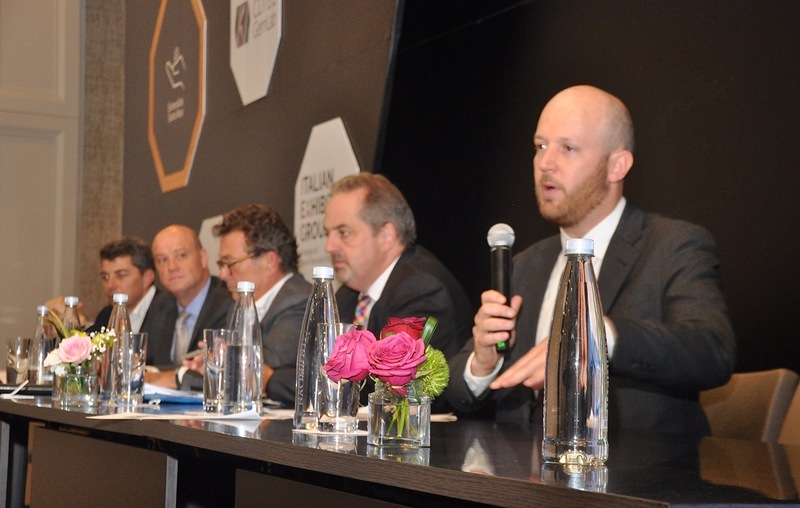 Philip Olden, head of the CIBJO Responsible Sourcing Guidance Project and the designated President of CIBJO’s new Responsible Sourcing Commission, provided a detailed briefing on the aims of the project. He said it was created to support and provide guidance to all CIBJO members, especially manufacturers, retailers and distributors. 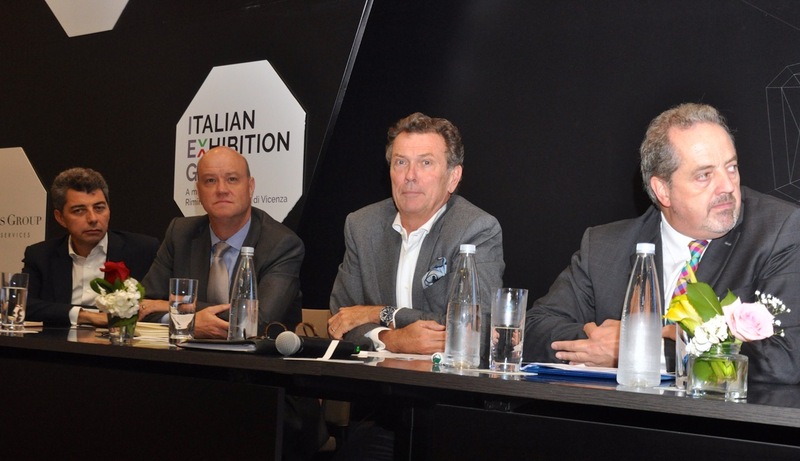 It also aims to reinforce UN goals, protect the reputation of the industry to fulfil a duty of care, he said. “We acknowledge there are many challenges: there are different levels of sophistication among small and medium sized firms, and fragmented and multi-layered supply chains. 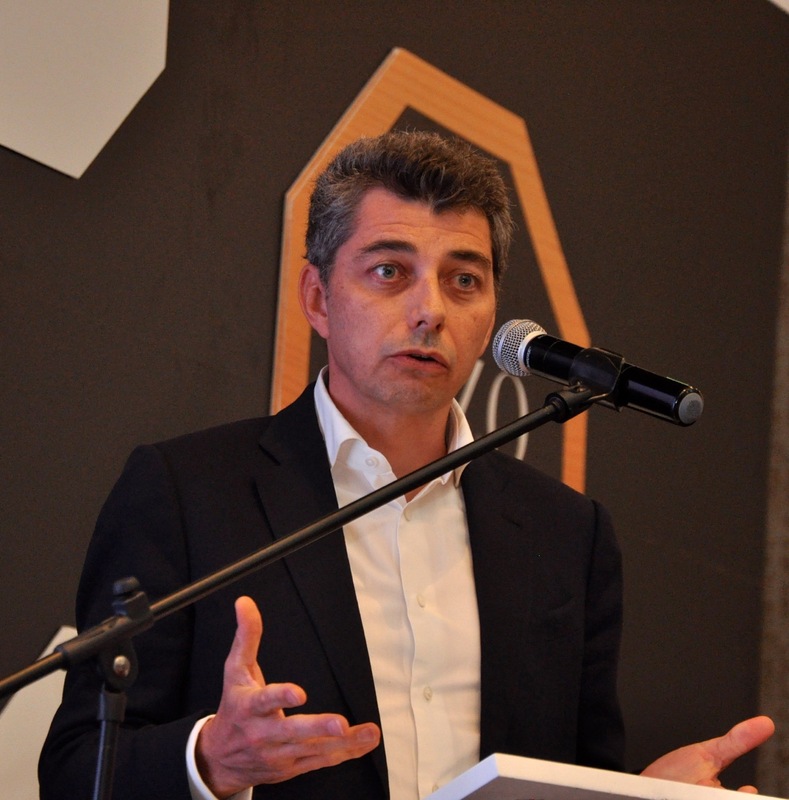 We recognise that this is a roadmap and a path of continuous improvement,” Mr. Olden stated. 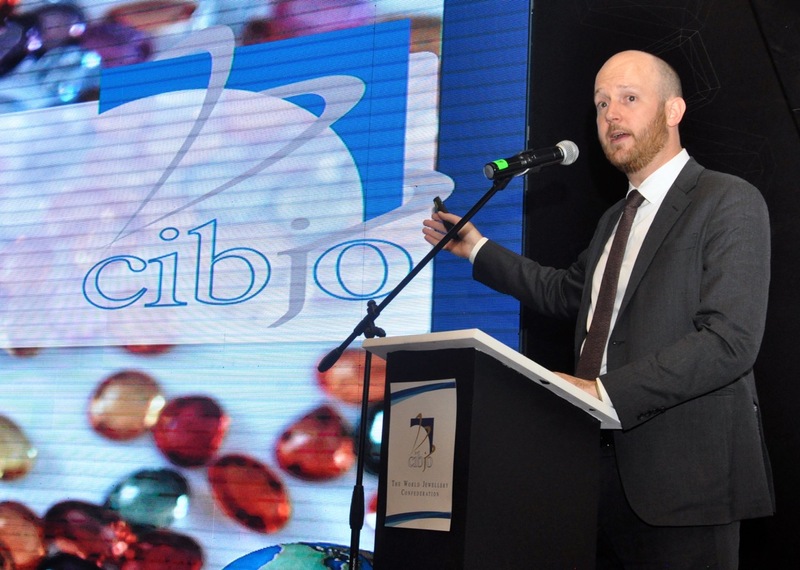 Philip Olden, Head of the CIBJO’s Responsible Sourcing Guidance Project, said that as with CIBJO’s Blue Books, CIBJO will now help members on responsible supply chain operations. 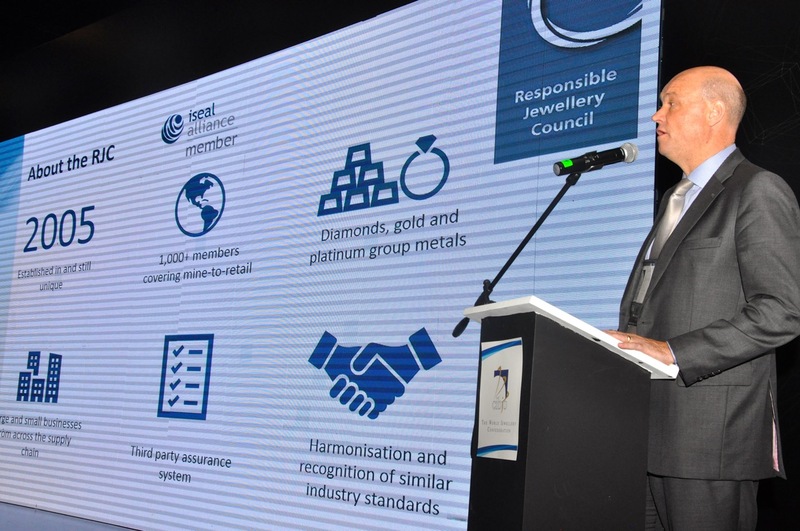 Edward Johnson of the Responsible Jewellery Council was asked why coloured gemstones are now included in its now expanded scope of operations. “The strongest requests came from our retail members,” he said. “We are focusing on ruby, sapphire and emeralds because they provide the most value in the supply chain and our Code of Practices now include them. We are happy to receive more comments. We are looking to raise more awareness of our work to promote a responsible supply chain for fine jewellery and watches. I have been shocked at how few people in our industry know what CSR even is so we have a great deal of work ahead of us,” he added. Erik Jens gave a financier’s perspective on supply chain due diligence. CSR has become a well-known part of modern business practices, he said. It provides companies who implement it moral credit in a cynical world. A study showed that firms implementing CSR recorded significantly improved financial performance, he stated. “CSR requires a very serious plan of action. If you only look at shareholder returns and the desire for stronger results, you cannot really be serious about CSR. 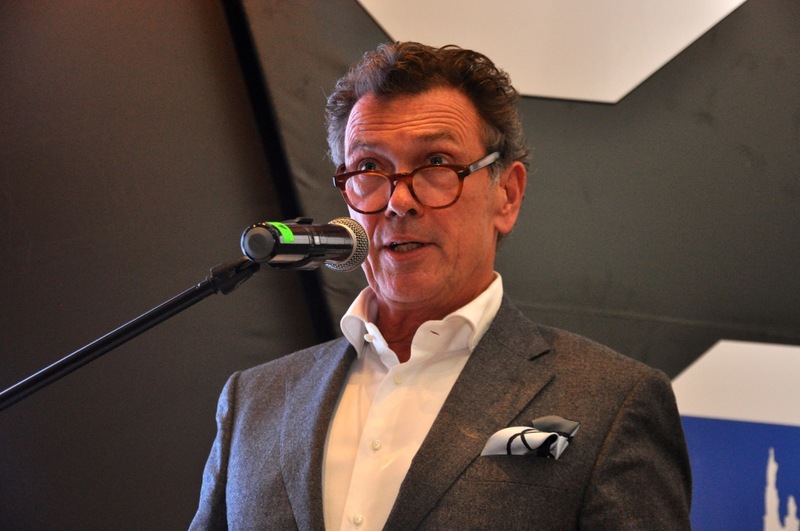 However, after 3-5 years, a CSR policy can create significant additional financial value for firms,” Mr. Jens said. Emmanuel Piat, a coloured stone dealer and Vice President of CIBJO’s Coloured Stone Commission, presented practical challenges facing the coloured stones supply chain and discussed how governments and emerging standards in article mining can help address these challenges. 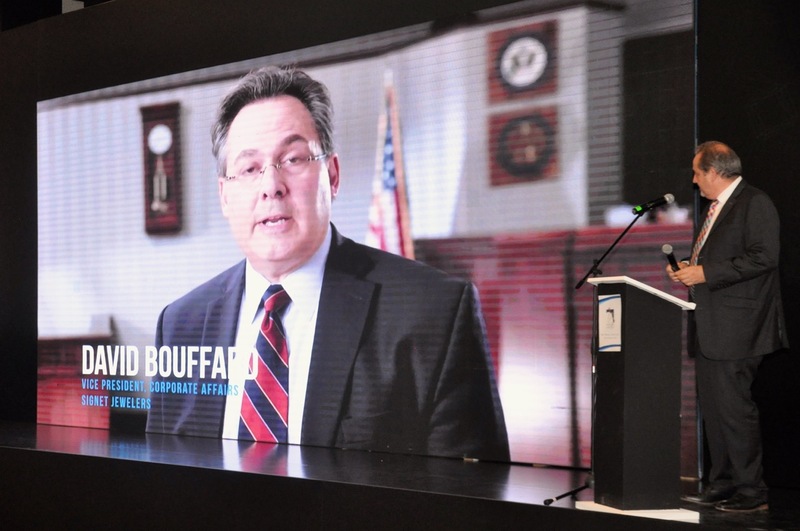 Mr. Bouffard, who also serves as President of CIBJO’s Sector B, which covers the retail sector, and is Chairman of the Responsible Jewellery Council, also commended CIBJO on its Responsible Sourcing Guidance, saying that it will make a real contribution to promoting responsible business standards in the greater jewellery industry. 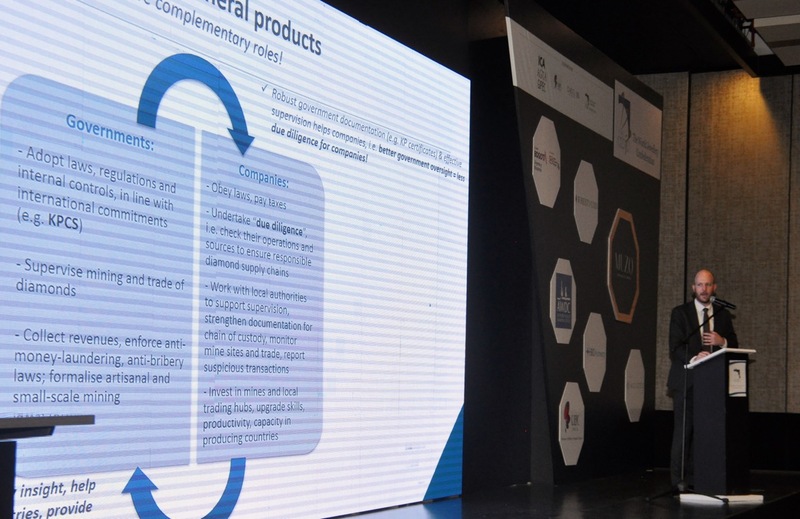 To download all presentations on the Responsible Sourcing session including the summary of CIBJO’s Responsible Sourcing Guidance, PLEASE CLICK HERE.